Nowadays, communication is conducted among business firms, organizations and companies prominently through emails. Almost everyone is familiar with this word. Mainly, emails are playing a crucial role in every user’s life. Emails facilitate multiple benefits to the users like a direct medium for communication, connect with anyone all over the globe, store record of a conversation between two users etc. But, what if you lost your valuable emails permanently? Do not worry! Because you can get them back without any hassle. 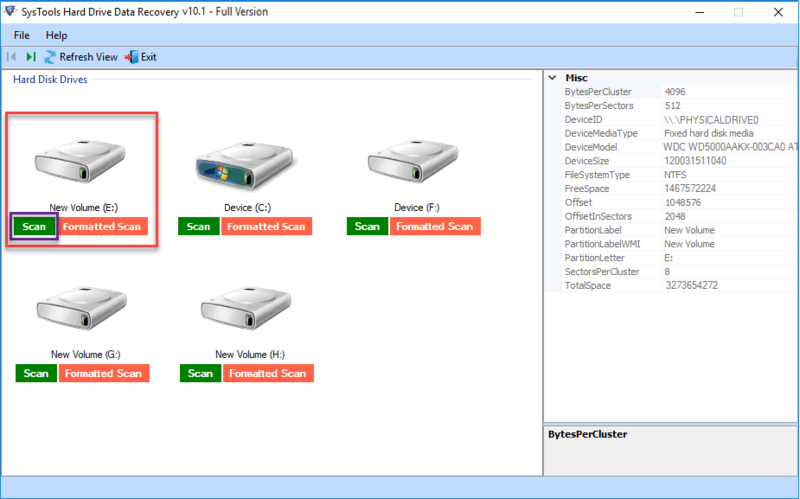 We already know what our users want so, we come up with an alternative solution to resolve the most commonly asked query such as can you recover deleted emails from hard drive. 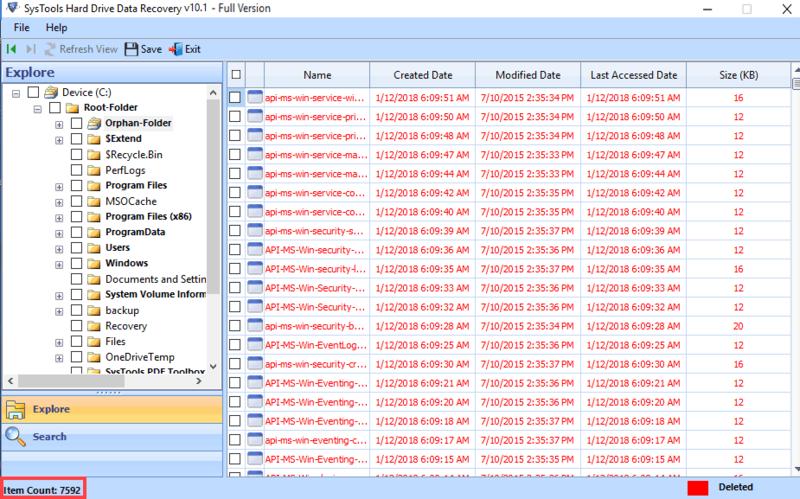 Simply, go through to learn best approaches to recover shift+delete emails from laptop and computer hard drive without any hindrance. Are All Deleted Emails Recoverable from Hard Drive? Mainly, there are two types of deletion such as soft deletion and permanent deletion. When you normally press the Deleted key. Then, your emails data file get deleted at that time but, still stay in recycle bin. So, you can easily retrieve that deleted emails from recycle bin. But, in case of hard deletion, the file is permanently deleted from the computer. Besides, you can also recover emails deleted from the computer. To do so, we come with an efficient technique that discussed in the oncoming segment. 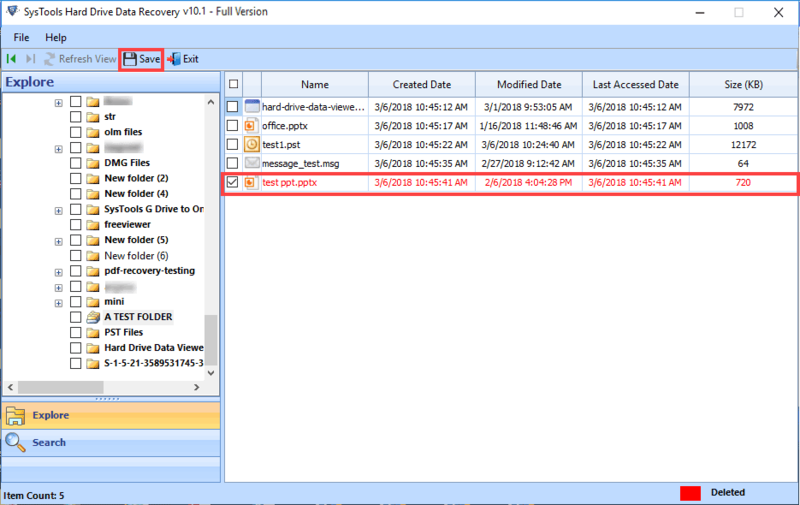 Here, are the following steps to recover permanently deleted emails from laptop hard drive. You can restore them simply, follow the below -listed steps. Step 1: First of all, install and run the computer data recovery software into your machine in which you require to retrieve permanently deleted emails. 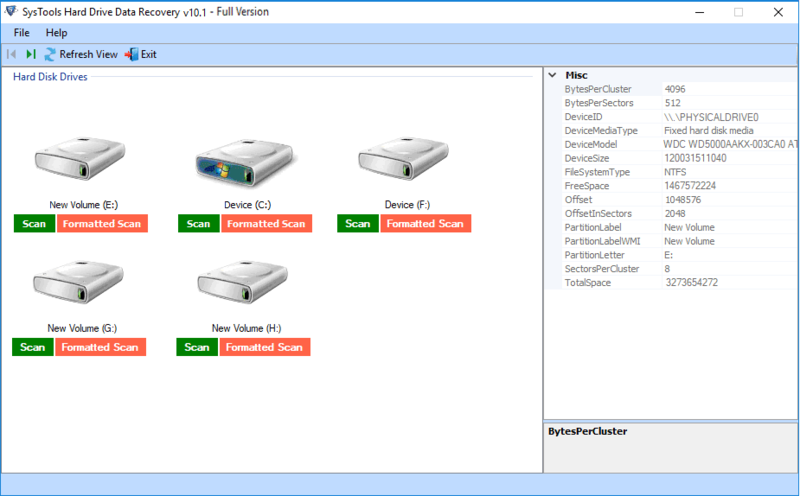 Step 2: Then, the tool shows you two types of scanning option such as scan and formatted scan. So, you have to choose a normal Scan. Because your emails are deleted permanently instead of formatting. It will help you to recover deleted old emails from hard drive. Step 4: Now, you can view all the recovered folders in the left panel, after completion of the scanning process. Easily view the recovered emails. Step 5: After selecting the desired folder from the left pane, the application will display the complete emails data file in the right panel. Moreover, it also provides item count. Step 6: This software involves a unique feature i.e., it highlights the permanently deleted emails by red color. So, it reduces the chances of confusion such as which data is permanently deleted and which one is not deleted from the opted folder. Now it becomes quite easy to recover deleted emails from hard drive. Step 7: Subsequently hit on Save and select the preferred location from the browse for folder window. And then, it on OK to begin the save procedure. Is will save all recovered emails into a selected folder. Step 8: At last, it will start the procedure properly. After completion of the deleted emails recovery process, a dialog box appears to your screen that says Export process completed successfully. Here, click on OK to end up the procedure appropriately. It confirms that the all deleted emails from hard drive have been recovered easily. My name is Ashwani Tiwari and I am using a Dell computer for my personal work. I saved some Yahoo Mail emails in my computer hard drive. Last night I was deleting some garbage files and accidentally I deleted Yahoo emails from computer hard drive. Now want to know is it possible to retrieve deleted yahoo emails from hard drive? If yes, then please suggest me the solution to recover deleted emails from hard drive. Hello Experts, I am Janvi Pandey professor. I have saved some important emails on my computer hard drive. But my brother deleted all emails from hard disk. Those emails were very important to me. I want my all email files in the healthy state. Is anyone here, who can help to understand how to recover deleted emails from hard drive. Is there any solution to recover deleted emails from hard drive. I gave my laptop to my friend to install Graphics card. I don’t know what he did, my emails folder deleted from hard drive E partition. I want to retrieve deleted emails from hard drive at any cost. Please come up with a safe and secure solution. Any help will be appreciated! Regards John David. All the above-mentioned queries are taken from well-reputed forum sites. After analyzing these queries, I came to know that there are many peoples facing the emails deleted from hard drive issue. For all questions, you have only one solution which is explained above. 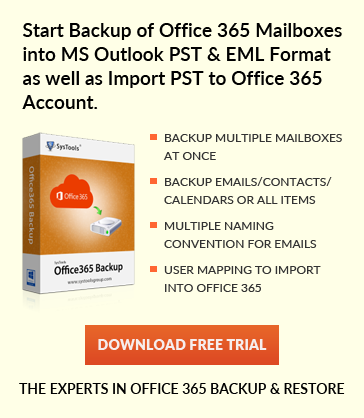 So, try the solution explained and easily recover deleted emails from computer hard drive. Also, if you have any query then contact us with your query can you retrieve deleted emails from hard drive? We will solve the issue. There are so many users who are looking for an efficient technique to recover permanently deleted emails from the computer hard drive. So, in this write-up, we explained the world’s best solution to recover deleted emails from hard drive. Additionally, in case of soft deletion, you can easily retrieve your deleted emails from recycle bin. If you have empty recycle bin then, it is better to go with this alternative technique. Because this third-party application to restore deleted emails having the ability to provide you the satisfactory result. Thus, you can utilize this utility to recover old emails from hard drive.